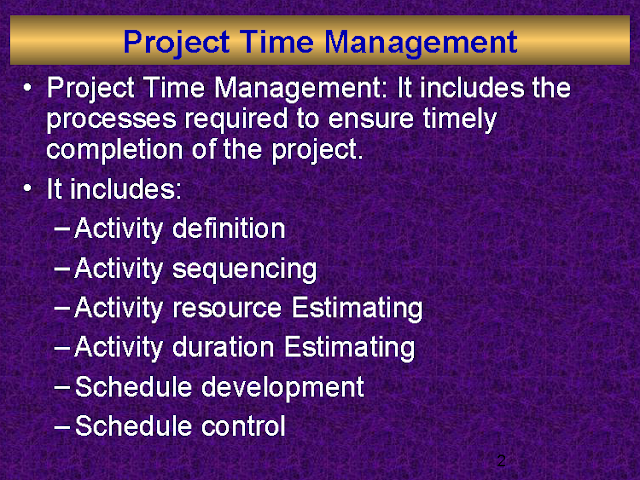 Project Time Management: It includes the processes required to ensure timely completion of the project. What are Planning and Scheduling? Why do we Plan and Schedule? Task definition & responsibility identification. Effective utilization of resources (labor, material & equipment). Tracking and controlling project time and cost. Claims analysis, quantification and defense.